© Pereira et al. ; Licensee Bentham Open. We present a 76-year-old female with history of end stage renal disease secondary to hypertension and diabetes mellitus on hemodialysis using a right radio cephalic arteriovenous fistula who was scheduled for a fistulogram given recurrent infiltration at the time of cannulation. 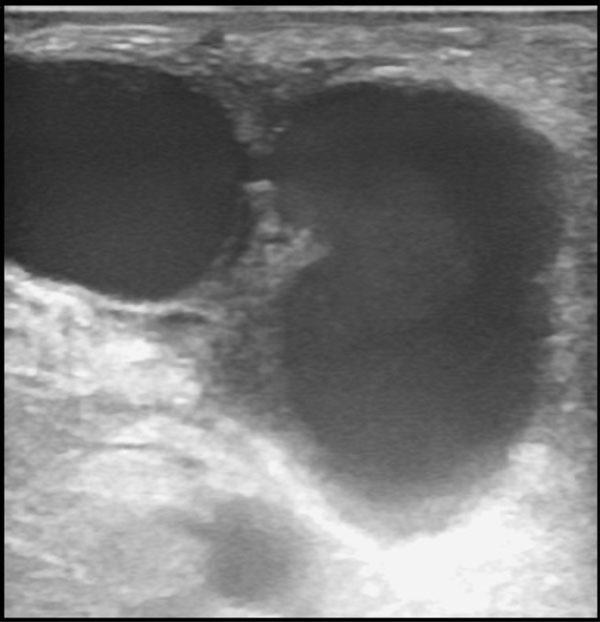 Ultrasonography (US) performed prior to angiography showed a 3 cm pseudoaneurysm which was identified originating from the peripheral aspect of the outflow cephalic vein showing the Yin- Yang sign (Fig. 1). It was successfully thrombosed with the injection of thrombin. Venography central to the access did show a tortuous course but did not have evidence of outflow stenosis. Pseudoaneurysm of the outflow cephalic vein. Yin- yang sign noted on color Doppler US. The Yin-Yang, an ancient Chinese symbol is sometimes alluded to in radiology when evaluating aneurysmal vascular structures. . This can be seen both in contrast enhanced CT scan and US with color Doppler (Fig. 2), in the former one portion of the vessel shows reduced attenuation due to the mural thrombus whereas the patent portion of the lumen demonstrates increased attenuation as still has flowing blood. . 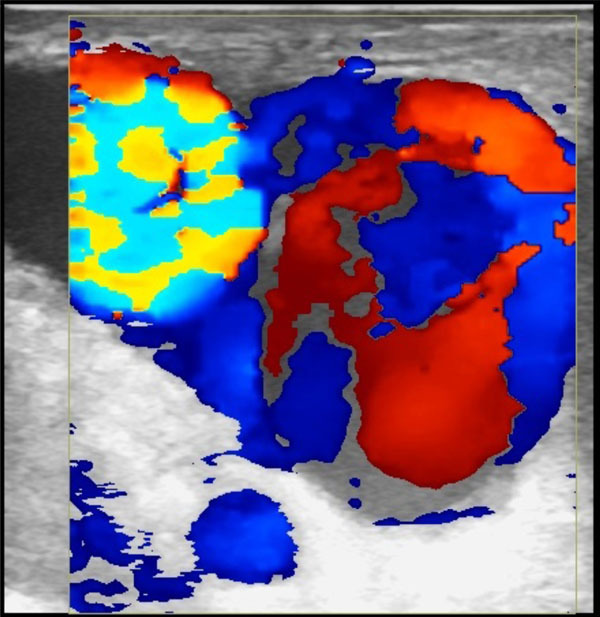 In our case, the Yin- Yang sign indicates bidirectional flow due to swirling of blood within the pseudoaneurysm as the portion that is moving toward the transducer is red and the portion that is moving away from the transducer is blue . Lupattelli T. The yin-yang sign Radiology 2006; 238(3): 1070-1. Ghera P, Hayes D Jr. Rare cause of dyspnea: yin-yang thoracic aortic aneurysm Lung 2014; 192(2): 335-7.